Remarketing firm CD Auction Group has opened three new return sites for cars and vans that will help save time for customers. Located in Bolton, Gloucester and Thurleigh, the new sites offer operators access to localised defleet services including vehicle inspections, on-site bodyshop and valeting facilities as well as photography suites that provide high-quality appraisal pictures of every vehicle sold online. 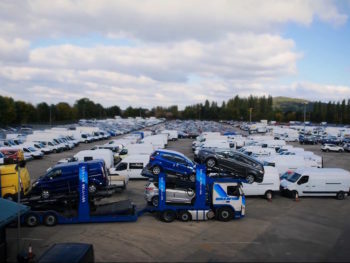 The online-only auction firm said the expansion in its operational footprint would help the business to grow and develop further following its acquisition by Arctos Holdings a year ago, while also bringing benefits to its customers who no longer need to transport vehicles to the group’s main Corby site. Andy Brown, managing director of CD Auction Group, explained: “The development of the new auction processing sites means that we can offer our customers greater choice and a more efficient online auction service.